At September 25, 2015 the museum Train World opened its doors. François Schuiten designed the interior of this museum. 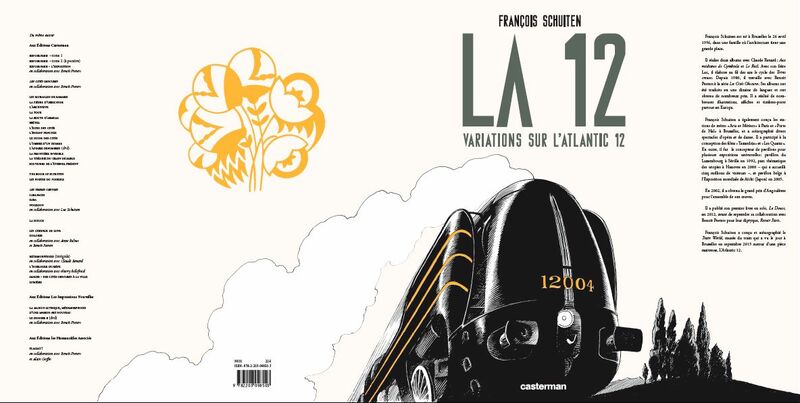 To celebrate the opening Schuiten made a hardcover album (24.1cm x 35cm x 1.2cm) of 48 pages with studies, drawings and sketches he made about the steam engine La Douce, the main character in his solo album 12 La Douce. Earlier a different cover was presented. This cover has now been changed to the one shown above. 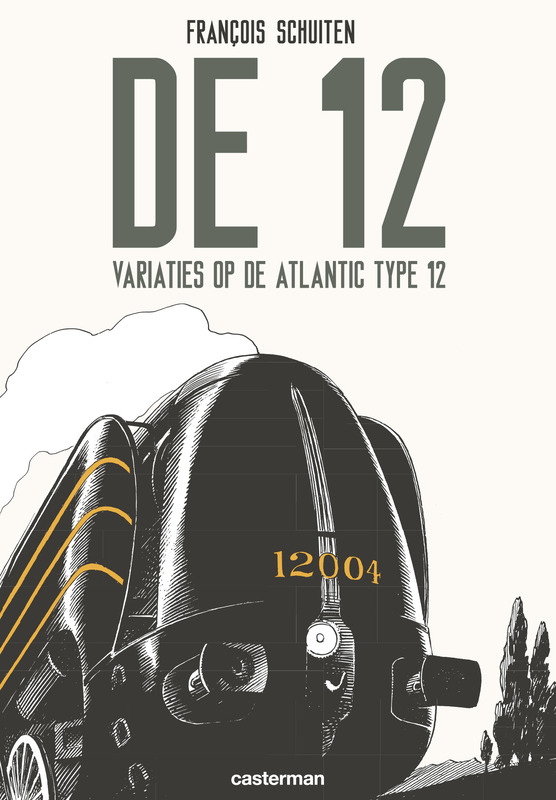 This album will also be published in Dutch as De 12, variaties op de atlantic type 12. 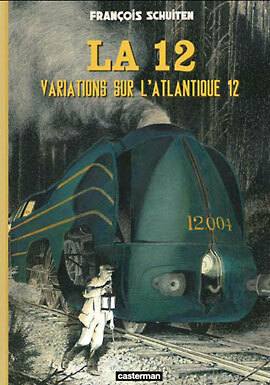 Earlier news suggested that the title would be “Schoonheid - Variaties op de Atlantic 12”.